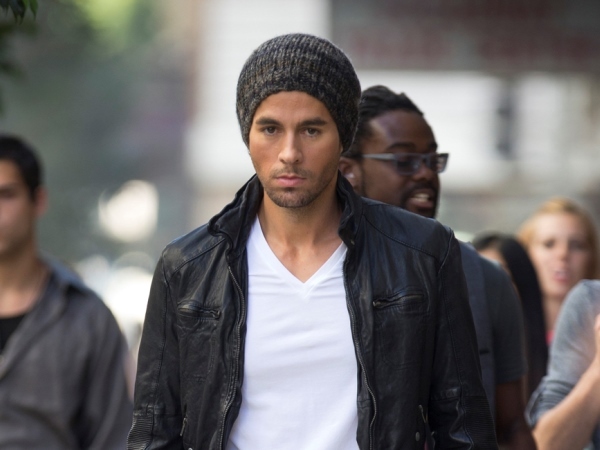 Enrique Iglesias says he sleeps very little in the day and instead prefers to get his rest during the day like a vampire. Enrique Iglesias has the sleeping habits of a vampire. The Heart Attack singer comes alive in the evenings just like the mythical bloodsuckers and he admits he developed his nocturnal habits because of his hectic pop career. Describing what he does to relax, he said: "When I have free time, I usually practice aquatic sports or I try to have a walk with my dogs next to the sea. But the truth is that I am not able to do that frequently due to the huge amount of work I have to deal with. "Fortunately, I have got used to it over the years and, in the end, I have been able to cope with everything even if I feel tired. It is true that I barely sleep but, as vampires do, I prefer resting during the day." Enrique says his choice of profession has affected all aspects of his life, including his private relationships. But the 38-year-old heartthrob - who has been in an on/off relationship with former professional tennis player Anna Kournikova for 12 years - can deal with all the negative parts of fame because he comes alive when he is on stage and forgets anything bad about his job. In an interview with Spanish website Cosmoenespanol.com, he revealed: "It is true that I have to keep many things behind to cope with my musical career, but when I see all those people in front of me at my concerts, I get so excited and I feel it's worth doing it (making music) no matter what it takes."